Discover the value of RBCX for transfusion management of sickle cell disease (SCD) in adults and children. Connect with our experts in red blood cell exchange. Discover the value of RBCX for transfusion management of SCD patients. RBCs are removed and simultaneously replaced with healthy RBCs. The depletion/exchange procedure is a combination of the depletion and exchange phases. The behavior of the system during the depletion and exchange phases is the same as when each is performed as a stand-alone procedure. 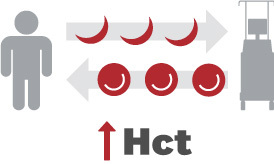 First, the system performs the red blood cell (RBC) depletion to lower the patient's hematocrit (Hct) to a prescribed level while maintaining isovolemia. This is done by removing the patient's RBCs and replacing them with a non-cellular fluid such as saline. 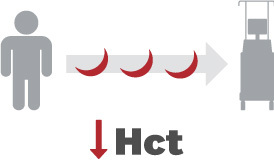 Second, after the depletion phase is complete, the system performs the RBC exchange phase to increase the patient's Hct to the prescribed target Hct. This is done by removing the patient's RBCs and replacing them with healthy donor RBCs. 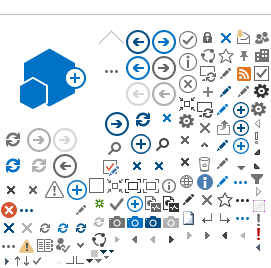 Estimate the volume of replacement fluid from your mobile device. Prospective, multi-center, single-arm, open-label study to evaluate the performance of the Spectra Optia system RBCX protocols (exchange and depletion/exchange) in adults and children with sickle cell disease. 1Adams D, et al., "Erythrocytapheresis can reduce iron overload and prevent the need for chelation therapy in chronically transfused pediatric patients." Journal of Pediatric Hematology-Oncology 1996; 18 (1): 46–50. 2Danielson C, et al., "The role of Red Blood Cell Exchange transfusion in the treatment and prevention of complications of sickle cell disease." Therapeutic Apheresis 2002; 6 (1): 24–31. 3Wahl S, et al., "Lower alloimmunization rates in pediatric sickle cell patients on chronic erythrocytapheresis compared to chronic simple transfusions." Transfusion 2012; 52 (12): 2671–2676. 4Lawson SE, et al., "Red cell exchange in sickle cell disease." Clinical & Laboratory Haemotology 1999; 21 (2): 99–102. 5Wayne S, et al., "Transfusion management of sickle cell disease." Blood 1993; 81 (5): 1109–1123. 6Cabibbo S, et al., "Chronic RBC exchange to prevent clinical complications in sickle cell disease." Transfusion Apheresis Science 2005; 32 (3): 315–321. 7Hilliard L, et al., "Erythrocytapheresis limits iron accumulation in chronically transfused SCD patients." American Journal of Hematology 1998; 59 (1): 28–35. 8Duclos C, et al., "Long-term red blood cell exchange in children with sickle cell disease: Manual or automatic?" Transfusion Apheresis Science 2013; 48 (2): 219–222. 9Singer S, et al., "Erythrocytapheresis for chronically transfused children with sickle cell disease: An effective method for maintaining a low HbS level and reducing iron overload." Journal of Clinical Apheresis 1999; 14 (3): 122–125.